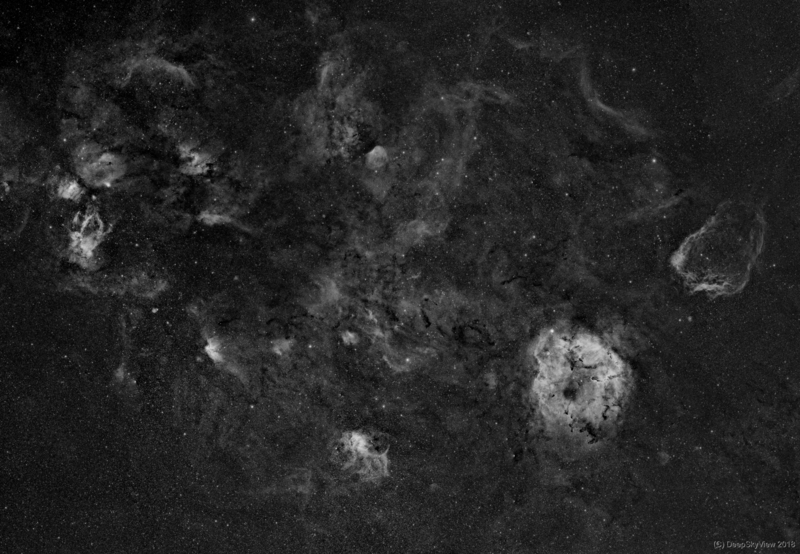 This is my second super wide-field mosaic covering a large part of the constellation Cepheus. It includes many prominent objects: from the M52 Open Cluster, the Bubble Nebula and the Claw nebula on the left to the Elephant’s Trunk and Flying Bat Nebula on the right. As shown in the annotated image below, this region contains a large number of HII clouds listed in Sharpley’s catalog (Sh2) – I counted 32.